Both Cumberbatch and Martin Freeman are going through a busy schedule due to their upcoming films in the Marvel Universe. The fans got excited, and the world surprised when it was announced that Cumberbatch would be seen as and in Dr. Strange. The movie is to release November 2016. Also, Freeman had a role in Captain America: Civil War and will have more roles in MCU. The showrunners had already revealed that the series was already renewed for the fourth installment. The reports say that it will now air in January 2017. However, they haven’t unveiled the exact (specific) date year. The co-creator and actor Mark Gattis said that it will be the best season yet in the crime-suspense-thriller. Jim Moriarty was seen as the biggest antagonist so far in ‘Sherlock’. Going through the trailer (attached below), it looks like that the upcoming season will have the biggest of all antagonists yet. It may be because Holmes killed Moriarty in the second installment and might not be resurrected now. If the new reports are to be believed then, Toby Jones will be seen as the new villain in Sherlock series. He might be paly the role of Culverton Smith of “The Adventure of the Drying Detective.” He is the most heinous all antagonists. Also, the showrunners have said that Moriarty will not be eliminated as a villain, but the statement could be misinterpreted. The executive producer of the show Steven Moffat mentioned that Season 4 could be the last one due to several circumstances and roadblocks. One of the reasons is surely the inclusion of Cumberbatch and Freeman in the Marvel Cinematic Universe. Both of their characters play a significant role in MCU. So now, they have an extensive list of pre-occupied dates which makes it difficult for them to shoot for yet more Sherlock episodes and season in between. 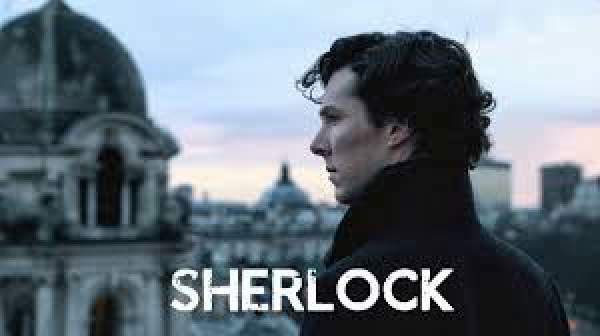 The Sherlock season 4 air date and plot synopsis is expected to be revealed by the end of this year. We will have to wait for the exact date in January 2017. If history stands true, then we will watch it in the first week of next year. Stay tuned to The Reporter Times for latest Sherlock news and updates regarding other TV series. Don’t forget to share. Feel free to share your thoughts with us via commenting.